A minimal disco/synthpunk project made by Frasco. Discography here. Many concerts and performances around Europe. 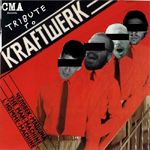 Featuring synthesizers on Ein Wald and Eklektische Waltz. A tribute to Roberto Maldoror Manfredini released in 2008 from Archeodada. Various musicians reinterpreted Manfredini’s songs. Globoscuro,Vanessa Delirio, soundZcapa, Demetrius Grave and many others. 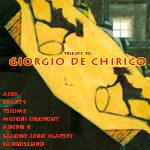 A compilation of various artists that translate in music some of De Chirico’s masterpieces. 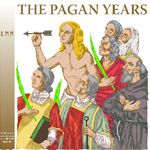 A seven-track album released in 2008 by Pitjamajusto. An interesting review of this album can be read here. 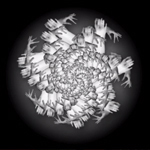 A video performance made by dancer and coreographer Sabrina Mazzuoli. Soundtrack by La Statua Sommersa (“Dying in the bathroom” from OK Gestalt). 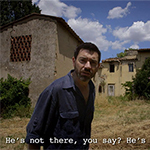 A musical video released by Daniele Grosso. Soundtrack by La Statua Sommersa (“L’Elettroforesta” from “Sulle orme del Maestro”). Video projections for the concert “The Lamb Lies Down on Broadway”. The Waiting Room, Angela Kinczly and Max Gazzè play the complete Genesis’ concept album at Fortezza da Basso (Firenze) on 7 Aug 2010. Soundtrack for Francesco Cacchiani‘s short movie Mess. Bunker Film production. Official selection Cannes Short Film Corner 2014.